When it comes to getting a mortgage to buy your first home, many buyers decide on the price point of the house they want to buy before talking to a lender. They’ll say something like — “We are going to buy a home for $500,000” — and then they head out to open houses in that price range. 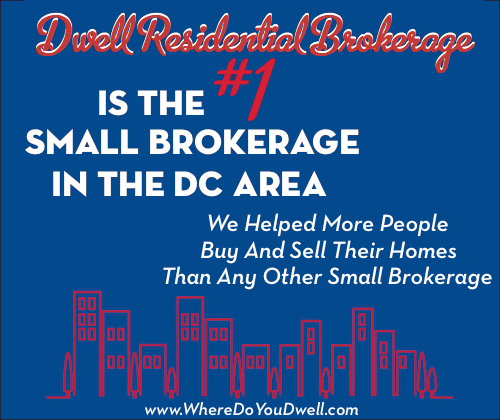 Even though that’s how it seems like it should be done and how many people do it, that’s not at all the way to start your home-buying experience. 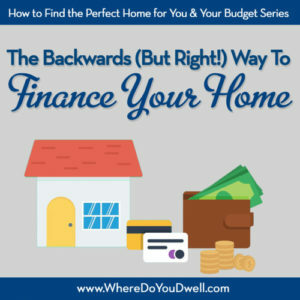 In fact, if you go about financing your first home this way, you’ll not only have a miserable experience, but it also could cause you to buy the wrong house! If you follow our 4 steps outlined below, you’ll be all set. And keep reading since you don’t want to miss our BONUS section with even more tips on getting the right mortgage for your budget. 1. FIRST, decide what you want to pay per month before you talk to the lender. This is the most important decision you’ll make when it comes to buying your first home. Everything else will fall into place once you make this decision. Decide this before you talk with any lenders, before you start searching for homes online, and before you start going to open houses. Most lenders will approve you for more than you want to spend. Whatever you are approved to spend on a home is irrelevant. Most people are approved to buy way more house than they actually want to spend. This often comes as a surprise, since most people feel like they won’t be approved for enough. But that’s typically not the case; it’s actually the opposite! Most people are approved to spend way more than they want to shell out every month for a home. That’s why you should start the conversation with your lender not by asking them what you are approved to buy, but rather telling them what you feel comfortable paying per month for your new home (inclusive of condo fees, if any, taxes and insurance). The lender can then work backward to determine the correlating sale price and tell you if you would be approved for that amount. They will need one other piece of information from you in order to provide a price point, which we will discuss when talking about cash for your transaction (see #3 below). If you plan to buy a condo or anything else with a monthly HOA fee, your correlating purchase price will differ since you need to include this amount. For example, the monthly payment for a $500,000 condo with a condo fee of $300 per month is going to be a completely different monthly payment than a house with no HOA fee. The difference in purchase price may be as much as $50,000 or more—that’s a huge difference in purchase price you need to account for!! 2. Not sure how to determine an affordable monthly payment? Conservative advice is to spend about 30 percent of your income on housing. In areas that have high costs of living such as New York, San Francisco and the DC area, that number can creep up to 40 percent and still be okay. Ask yourself if what you want to spend per month is in that range. If it is, you are A-okay. You should also be looking at your budget so you can compare future home expenses to your current rent expenses. That will help you determine an affordable mortgage payment. Again, we recommend focusing on your monthly mortgage payment rather than fixating on one big sales number or price range. It’s easier to comprehend since most of us budget for monthly expenses already, and will help you take into account any HOA fees, etc. 3. Decide how much cash you want to spend on the transaction. In addition to what you want to spend per month, you need to know how much cash you want to spend on your purchase. As we mentioned above, this is the second piece of information your lender needs to determine your price point. You most likely will need cash for down payment and closing costs, unless you have been approved for some first-time buyer programs. Decide upfront how much cash you can put towards your home purchase. Will it include a gift from family? A loan from your 401k? Start with a dollar figure, not a percentage. We’ll work into percentages later when we have a sense of your purchase price. You may be able to spend a little less cash to hit one of the points that lenders like to see. For example, if you have around 10% to put down, then putting 12% down won’t change your interest rate or really help anything from a loan standpoint. So you could save that extra 2% for moving expenses since it will do you more good as cash in hand than cash in your home. Closing costs are going to run you between 2.5% and 3% of your home price. Be sure to set aside some of your cash for closing costs, not just for down payment. Your lender can help you with this. Don’t worry so much about putting 20% down. There is a very traditional mindset that says you must put 20% down in order to avoid mortgage insurance. Although that is accurate, these days there are many great loan programs, especially for first-time home buyers, that ease up on the private mortgage insurance (PMI) payments. Now you’re ready with your two important figures! You are all set to meet with a lender. You should now understand the two things that will help them determine your price range: a) What you want to pay per month. b) How much cash you want to spend on your purchase. You can always make adjustments later on and see how that will change the price point, but start with some figures you are comfortable with in terms of monthly payment and cash for your purchase. These are additional guidelines that you can use to help determine your mortgage payments. Remember, you still want to have some cash left over and not be wiped clean each month. Every $10,000 change in your loan amount, whether that’s through increasing or decreasing your price point or increasing or decreasing your down payment will only change your monthly payment by about $50-$80 per month (depending on your purchase price, the lower the price, the lower the change in the monthly payment for every $10,000 change). Yep, that’s all! So, don’t worry as much about saving another year or two for an additional $10,000 to put down if you can swing an extra $50-80 per month instead. It’s not one-size-fits-all when it comes to mortgages, and working with a lender to go over the options available is important. Make sure you are looking at the entire loan picture — the program, the time period you are going to own the home, and the terms of the loan; and how all of that creates the best financial position for you. You should think of the loan summary and price points your lender gives you as rough drafts until you find an option that suites your specific finances and situation. The loan your friend gets is not the one you should necessarily get. These days, when it comes to financing your first home, there are SO MANY loan options available that you really need to focus on what’s best for your particular financial situation and goals. Know your credit score since your score will also affect your mortgage interest rate. Your credit score is a major factor for lenders when determining your risk. That means your score plays a big part in the type of loan you will be offered and its interest rate. The higher your score, the lower your rate. Remember, a credit score has nothing to do with your income or investments. It’s based on how you’ve handled your credit card payments and other loan payments, like your car or student loan. It also takes into account if you’ve declared bankruptcy, have a tax lien, or you’re being sought by a collection agency. 2. See if you qualify for any first-time homebuyer assistant programs. We keep up-to-date on all such programs and provide details on requirements for income levels, locations, and more. This is “free” money and that means you might use less from your savings than you thought. Many programs are for moderate-income buyers and offer down payment assistance and/or cover closing costs. 3. Try to determine how long you plan to own this home. Consider your current and future finances and also where you will be in 5 or more years. There are several loan products that may be better for you than a “go-to” 30-year fixed loan. 4. Carefully consider options if you need to pay points to get a lower interest rate. Your lender may tell you that if you pay one point, your interest rate will be lower than if you pay zero points. And even lower, if you pay 2 points. A point is equal to 1% of your mortgage amount (or $1,000 for every $100,000). So points are basically an “upfront payment of interest” at closing for usually 30-year fixed loans. Rather than pay it over the life of your loan, you can pay a large chunk when you get the loan. As a buyer, you will need to weigh the pros and cons in getting the lower rate and paying for points upfront. Since interest rates a low right now, you may not want to pay the points if you don’t plan to live in your home for more than 5 or 6 years. You’ll never recoup the costs of your upfront payment over the life of the loan even if lower monthly payments may seem tempting. However, if you plan to live in your home for many years or interest rates go up, then the benefit of the lower rate will kick in and save you money in the long run. 5. Keep an eye out for hidden fees or additional costs along the way. Don’t be fooled by advertised rates! Behind that rate could be a long list of fees, points, or closing costs. Ask the lender to break down the fees and give you the total amount for closing the loan. Avoid penalties for lock-in extensions. Some lenders will increase your interest rate slightly if you need to lock in your loan for 60 days or more. Make sure you know any requirements before signing any paperwork. It’s another reason to get all of your finances and paperwork in order before you apply for a loan. Review fees for FHA loans. Don’t always assume a FHA loan will be cheaper or better. Not only do you pay an upfront premium for mortgage insurance (1.75% of the loan amount), but you’ll also pay a recurring annual cost of up to 1.35% of the outstanding loan amount (added to the monthly payment) for the life of the loan. Review the pros and cons of these loans carefully. Mortgage disclosure forms have been simplified. They do a much better job of disclosing a loan’s terms and cost to borrowers. Make sure you carefully review the Loan Estimate, given three business days after application, and the Closing Disclosure, given three business days before closing. You’re off to a great start now that you know the best way to go about financing your first home. Now it’s time to show you how your budget, location, and your criteria for a home come together as a “roadmap” in your search for the perfect home. Next week’s article, Putting It All Together explains how these three factors are intertwined and will lead you to your new home!